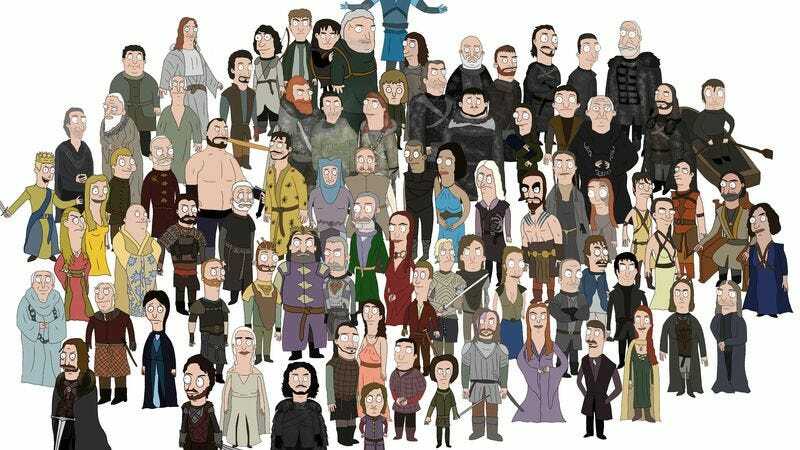 What if the Game Of Thrones characters existed in the Bob’s Burgers universe? That’s the question that Imgur user CarlosDanger101 decided to answer as he systematically went through each grouping of characters and drew them in the style of Loren Bouchard’s animated show. The result is a collection of awkward-looking people who seem perplexed by their own existence, but also far gentler than their various deeds would have others believe. CarlosDanger101 skillfully recreates the style of the show, with the large eyes and bulbous noses of the Belcher clan. The artist then broke up the entire cast into smaller niches based on their houses.